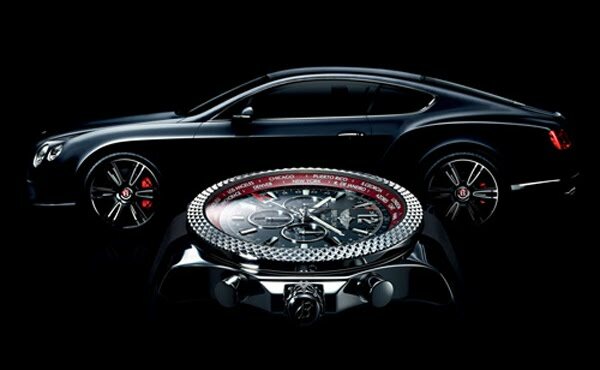 A natural-born traveller, the Bentley GMT boasts an ingenious multiple timezone display system. It is equipped with a red triangulartipped additional hour hand completing one rotation every 24 hours. The pushpiece housed in the left side of the case serves to move this hand forward in one-hour increments in order to display the second timezone – while distinguishing between day and night hours. Thanks to a rotating inner bezel bearing the names of the 24 cities, the user can also instantly read off the time in all the world’s timezones in relation to that shown by the 24-hour hand. 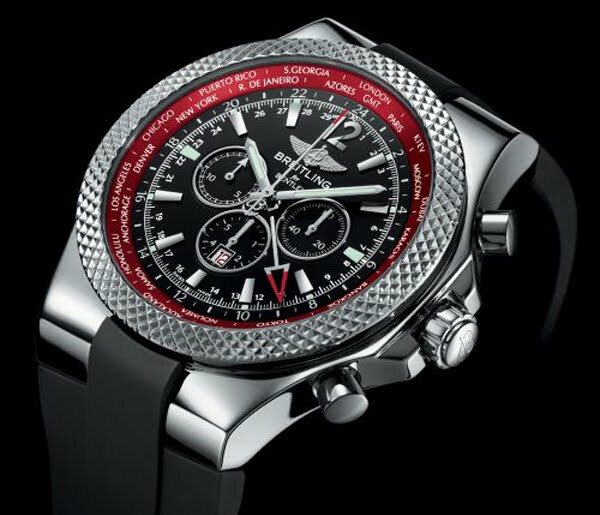 The selfwinding chronograph movement, chronometer-certified by the COSC, offers another technical asset exclusive to the Breitling for Bentley collection: a “30-second chronograph” with a sweep seconds hand making one full turn of the dial in half a minute and thus enabling readings accurate to the nearest 1/8th of a second. With the Bentley GMT “V8”, it’s definitely time for performance.